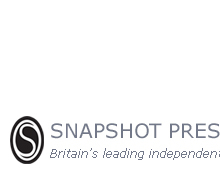 Trade enquiries can be directed by email to sales AT snapshotpress.co.uk or to our postal address. Trade discounts will apply. Titles available for purchase on this website are in stock unless otherwise stated. To enquire about the availability of any title please email sales AT snapshotpress.co.uk. To enquire about discounts on bulk orders please email sales AT snapshotpress.co.uk prior to ordering. Requests to reprint work from Snapshot Press titles (including poetry featured on this site) must be made in writing to info AT snapshotpress.co.uk or to our postal address. Please see the Submissions section for submission guidelines. Please note that submissions not complying with these guidelines unfortunately can not be considered and will not receive a response. Familiarity with our list is advisable for any author seeking publication.